Unfortunately some of the programs you install may cause issues with your computer’s performance. Sometimes, these are programs you intend to install, other times, you probably don’t even realize they have been installed on your system. 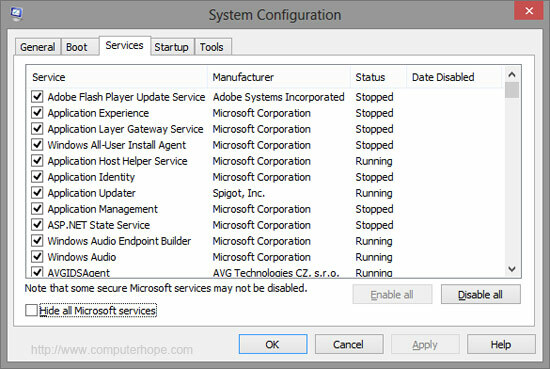 The first step is to filter through your installed programs by going to the Add/Remove Programs Option in Control Panel. Properly uninstall any program that you no longer need, was installed by accident, or perhaps looks like malware. Be careful not to uninstall any microsoft or windows programs. And when in doubt, google the name of the program to see what it is and if its necessary before uninstalling. If you sort the programs by the install date, it will help you better understand what software has been apart of your system since the beginning, and what new software has been loaded in the last few weeks or months. Because there’s hundreds of reasons why your computer could be running slow, this exercise allows you to rule out anything wrong with the hardware, memory, hard drive or potential viruses. It’s called a clean boot. And that refers starting windows with only the original items installed on your computer… (or more specifically, only microsoft/windows software). What this does is give you a chance to see your computer running as if no additional programs were installed. 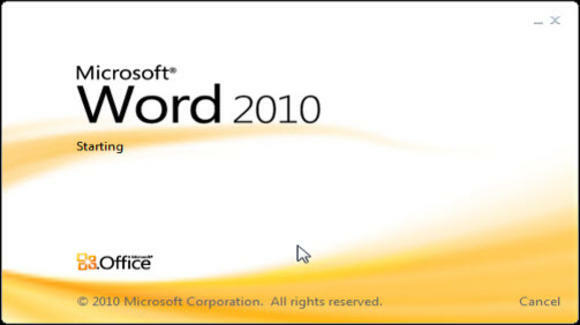 If this fixes your problem of your computer running slow, then you know the issue most likely resides in one of the programs you have installed. Either it needs an update, has become corrupted, requires more RAM or Processing speed than what your system has, or simply takes up a lot of your resources. After you have concluded that a program is causing the computer to run slow, you can then begin the process of elimination. 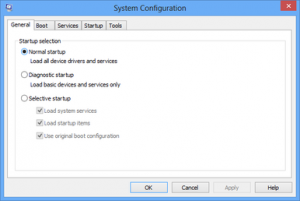 Start with your most important programs first, slowly re-enable them and see if your system starts to become slower. Eventually you will find the software culprit. Then hit enter. 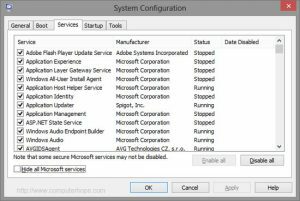 This will load your computers startup configuration. Next go to the SERVICES tab and check HIDE ALL MICROSOFT SERVICES at the bottom. Then Click DISABLE ALL so that there are no items checked. You may go back through this list and check things that you know belong to your computer’s function such as services associated with graphic cards, audio, or network hardware. Once you have finished, click APPLY and OK. The computer will ask you to restart. Make sure any documents that are open are saved and click OK to restart. Now you should have a computer that runs very similar to the first day you bought it. You can slowly add services as you need them if you are still troubleshooting the issue. But once you have found the software causing the slowness, go through the above steps in reverse.